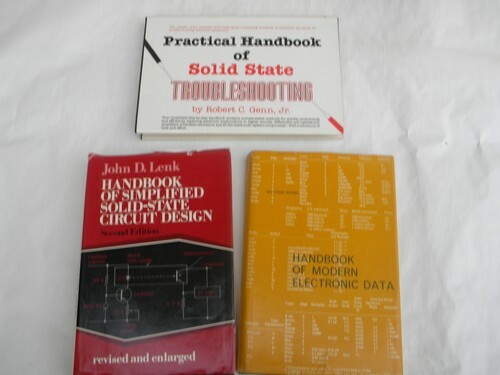 Lot of vintage technical handbooks on solid-state electronics from the estate on an electrical engineer. They have illustrations, charts, tables, schematics, wiring diagrams, mathematical equations and more. 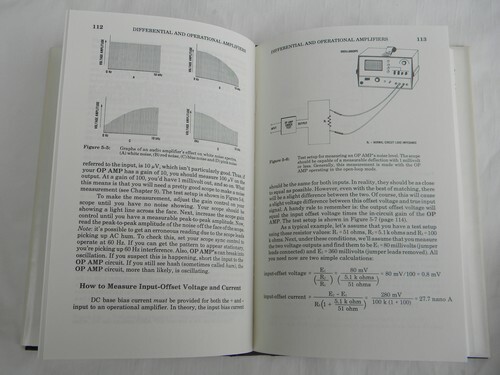 Handbook of Modern Electronic Data - by Matthew Mandl - 1973 with 274 pages and a dust jacket. 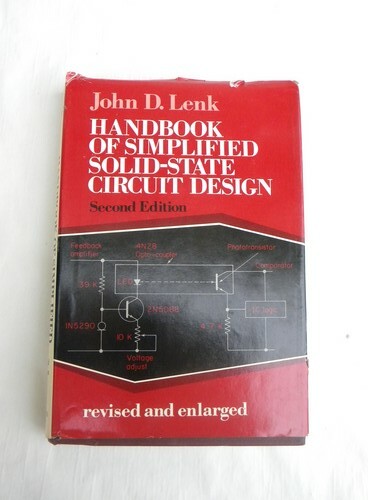 Handbook of Simplified Solid-State Circuit Design - by John Lenk - 1978 with 429 pages and dust jacket. 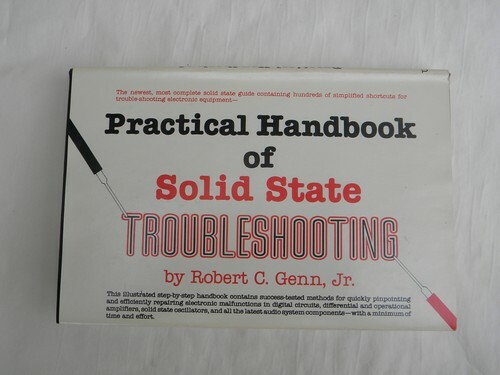 and Practical Handbook of Solid State Troubleshooting - by Robert Genn - 1981 with 23`9 pages and dust jacket. These are in very nice condition with a name inside the front cover of each book.